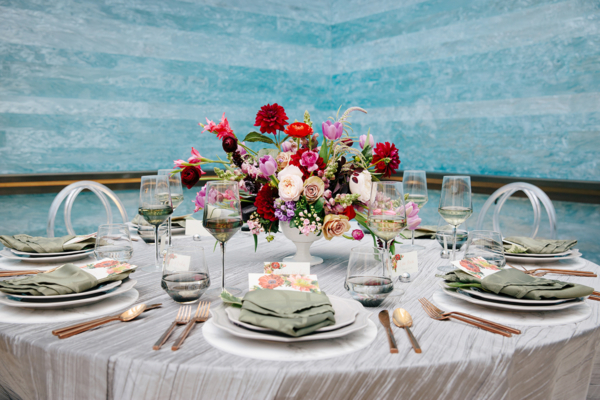 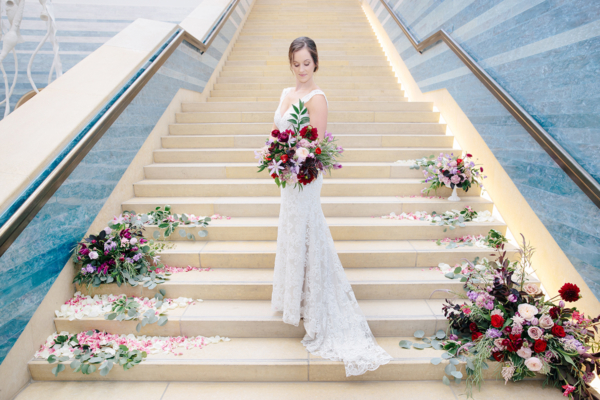 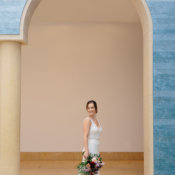 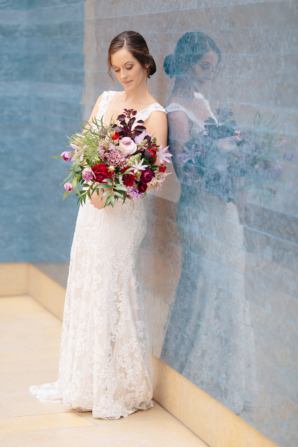 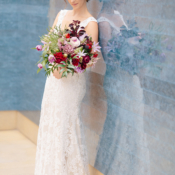 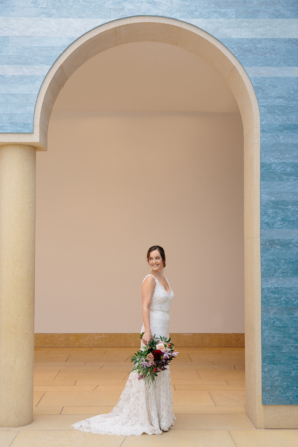 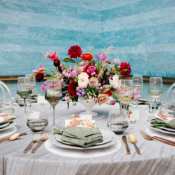 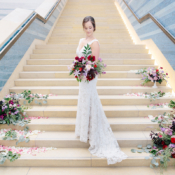 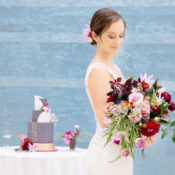 The gorgeous art installation by Teresita Fernández called stacked waters on the walls of the Blanton Museum of Art made for a beautiful backdrop and basis of inspiration for this styled shoot created by Verbena Floral Design. 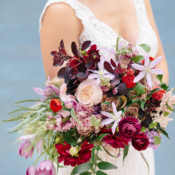 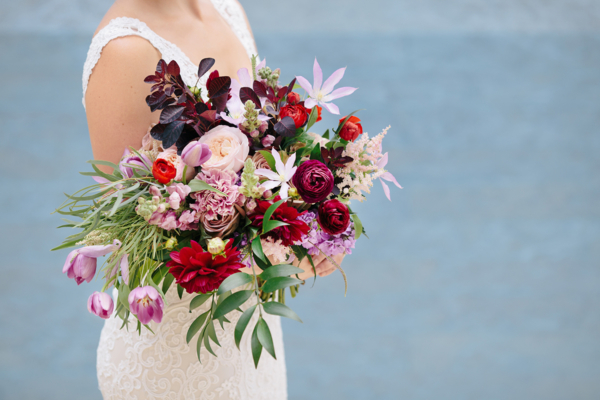 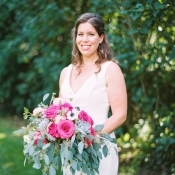 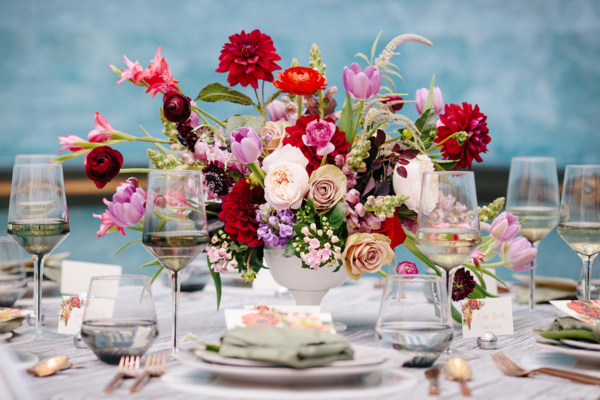 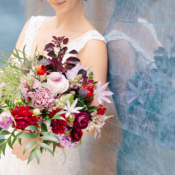 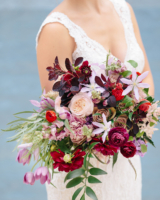 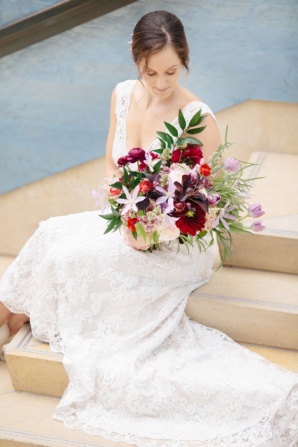 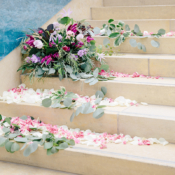 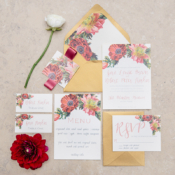 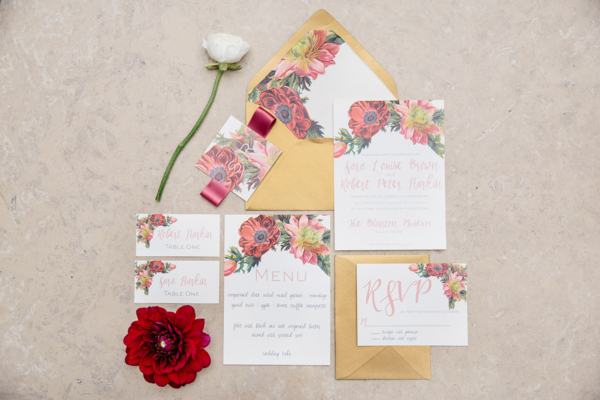 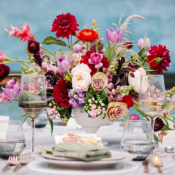 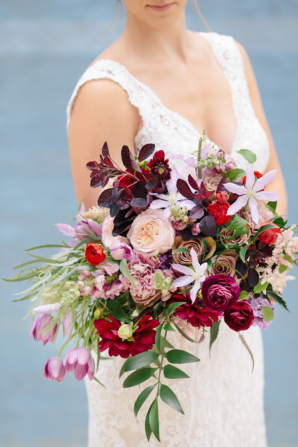 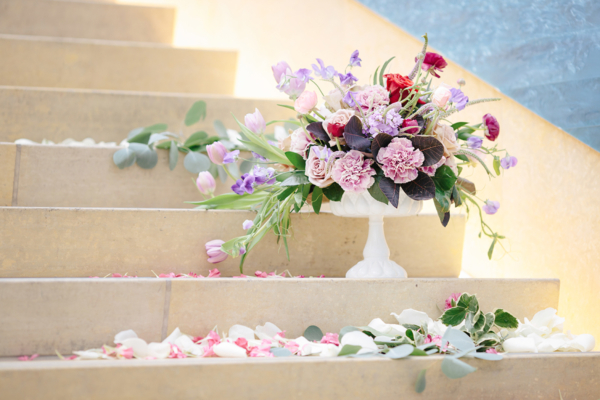 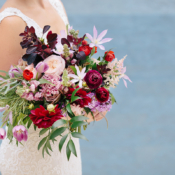 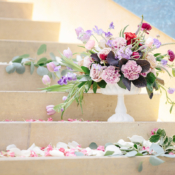 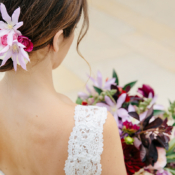 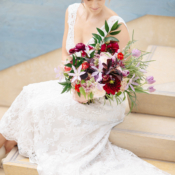 In keeping with the modern setting, each element was both bold and colorful, with rich burgundy and fuchsia blooms, pretty marble chargers, and a showstopping bouquet that is a modern take on the vintage arm bouquet. 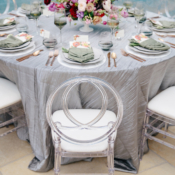 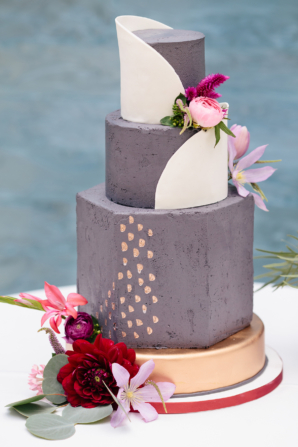 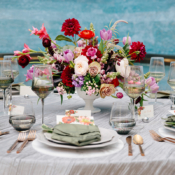 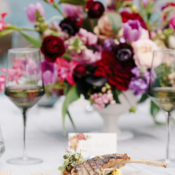 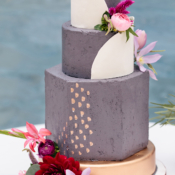 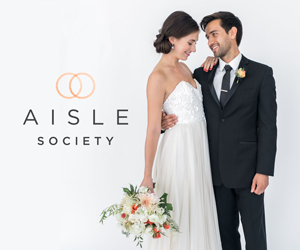 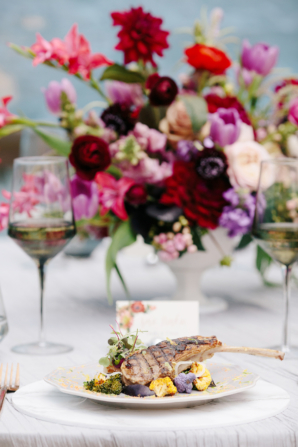 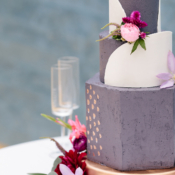 Rosemary’s Catering created a custom menu for the occasion, with inspired dishes such as Colorado Grilled Lamb atop carnival cauliflower with a lemon and lime zest and heirloom carrot dust, and a sleek purple, white, and gold wedding cake by Blue Note Bakery completed the scene. 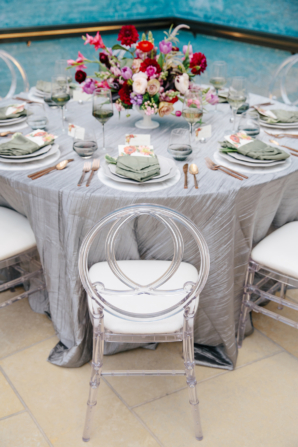 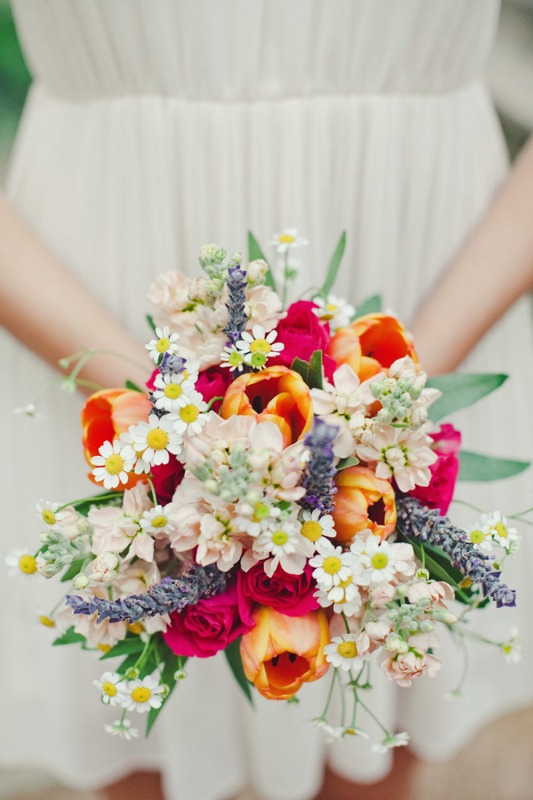 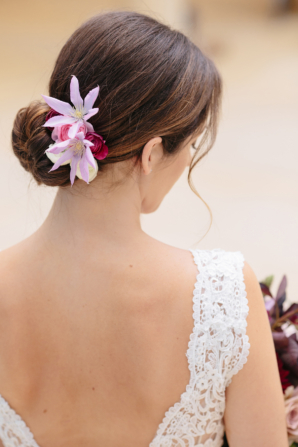 Love this beautiful setting and all of the images by Lindsey Thorne Photography!